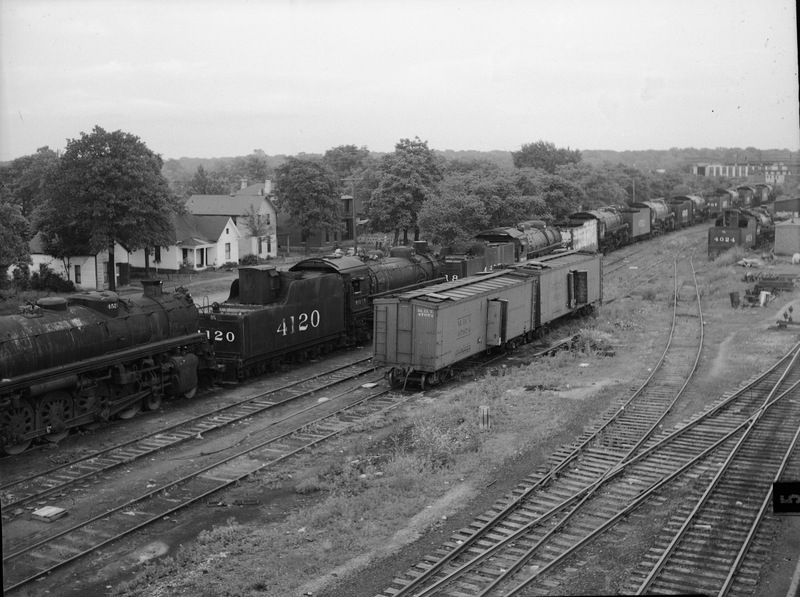 2-8-2 4120 on the dead line in the South Yard, Springfield, Missouri on June 20, 1951 (Louis A. Marre). 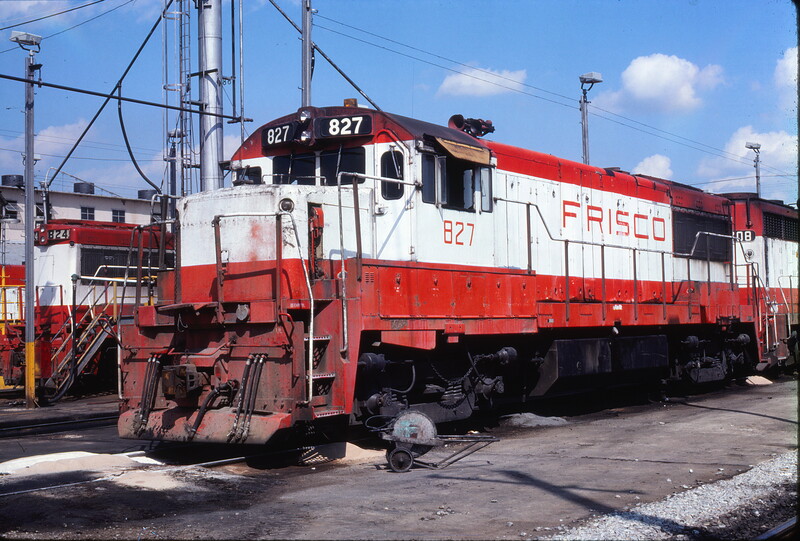 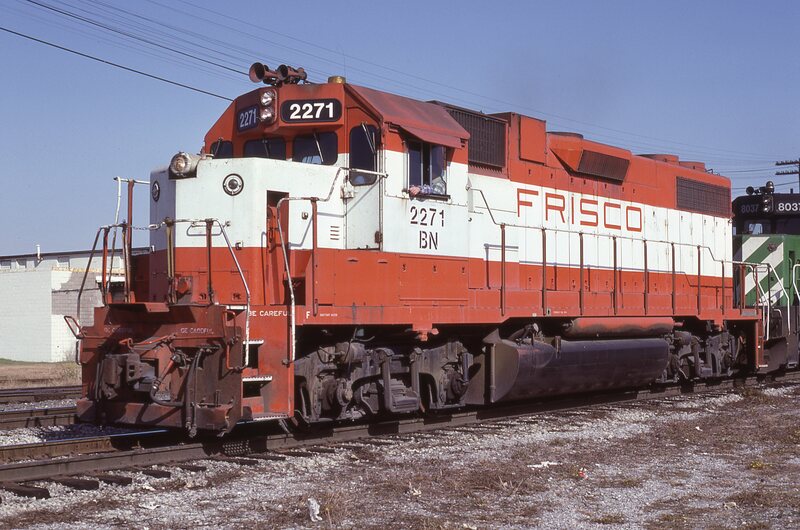 GP38-2 2271 (Frisco 416) at Memphis, Tennessee in November 1982 (Steve Forrest). U25B 827 at Memphis, Tennessee on June 23, 1980 (J. Harlan Wilson). 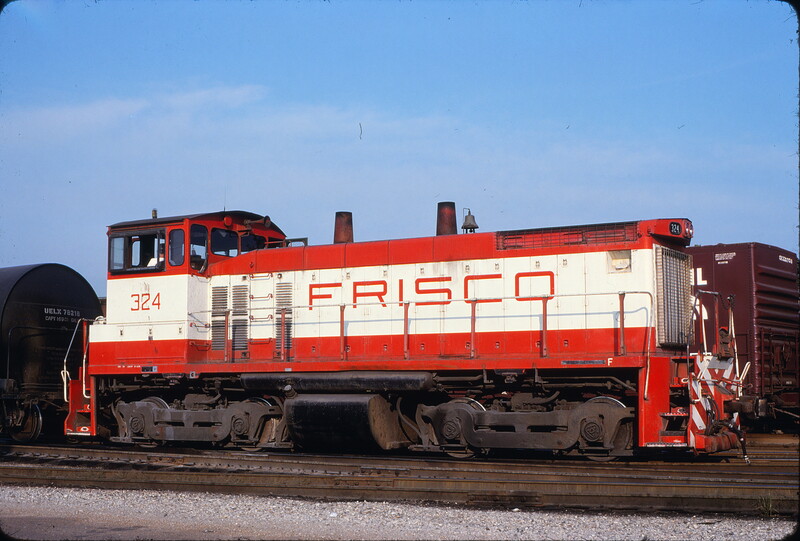 SW1500 324 (location unknown) in September 1980 (Lon Coone).